…tasty bites to stimulate your taste buds..
My stomach has been feeling funny for the past few days so I made chao vit, or duck porridge, for dinner. Whenever I was not feeling well, my mom would make a huge pot of chao. 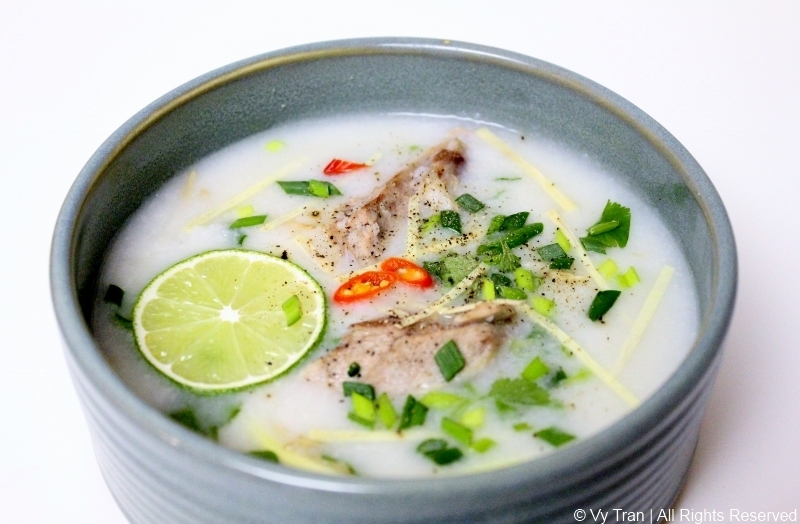 Chao is made with a duck based broth and rice, so simple yet satisfying. The broth can be made from chicken, pork, or just water. 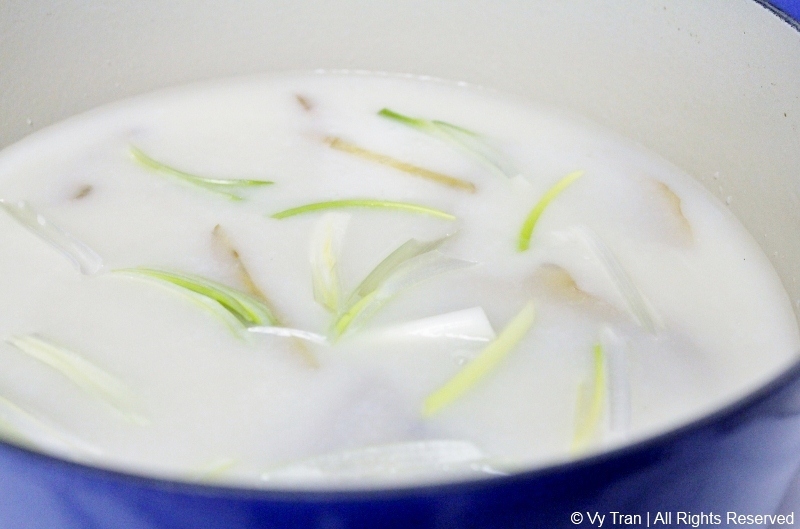 Many people cook the rice directly in the broth, but I strained the broth to remove all the fat, and then added in the rice to make a healthier soup. I probably removed 2 cups of fat. 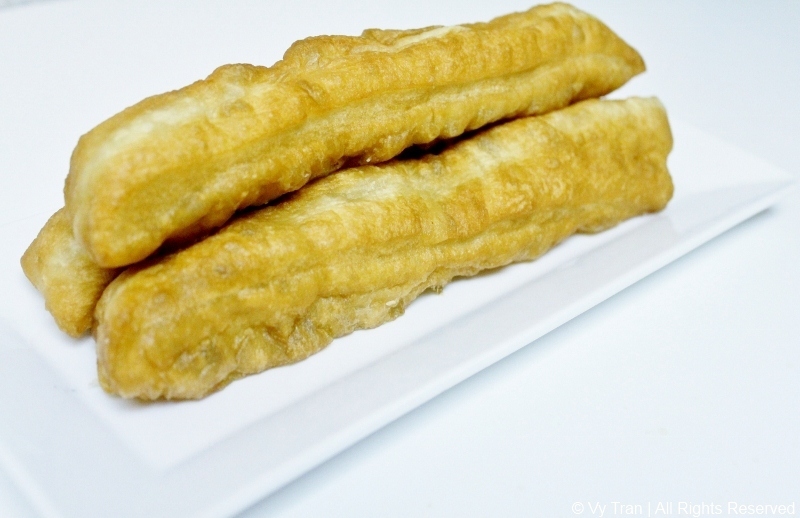 When paired with toasted gio chao quay (Chinese donuts), they soak up the soup and add a wonderful texture to the meal. I added a handful of bean sprouts to my chao, squeezed a few drops of lime juice, and topped it with pepper, a few pieces of red chili, cilantro, and green onions. The crunch of the bean sprouts, the sourness of the lime, and the kick from the chilies brought so many flavors to the chao. It was a comforting and satisfying meal! Place the whole duck in the pot filled with 10 cups of water. Add the salt and ginger. Bring the pot to a boil and let simmer on medium heat for 45 minutes. 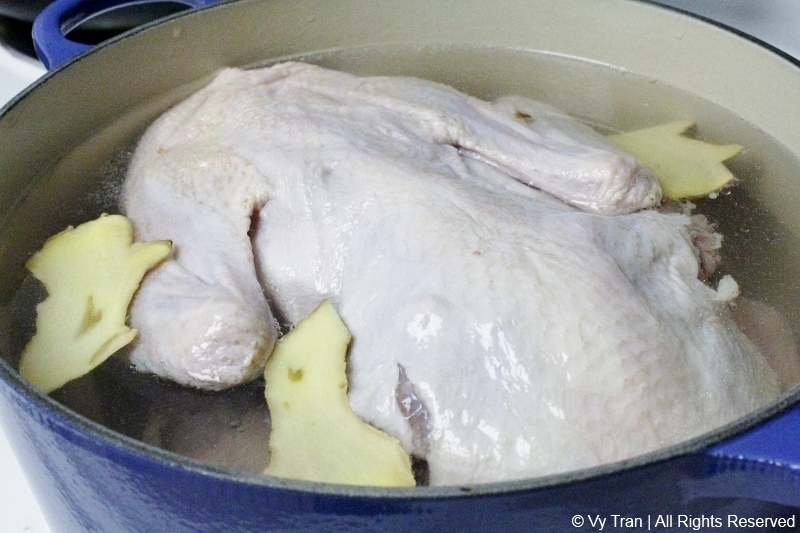 Remove the duck from the broth and strain the broth to remove any excess fat. Add the rice to the pot. Use a hand blender, blend the rice until finely ground. Continue cooking for another 30 minutes to let the porridge thicken. Add in the fish sauce and season to your liking. While you are waiting for the porridge to finish cooking, chop the duck into small pieces, prepare the fish sauce, and toast the Chinese donuts. Add a few pieces of duck and a handful of bean sprouts before ladling the porridge to a serving bowl. Garnish with green onions, cilantro, pepper, and red chillies. 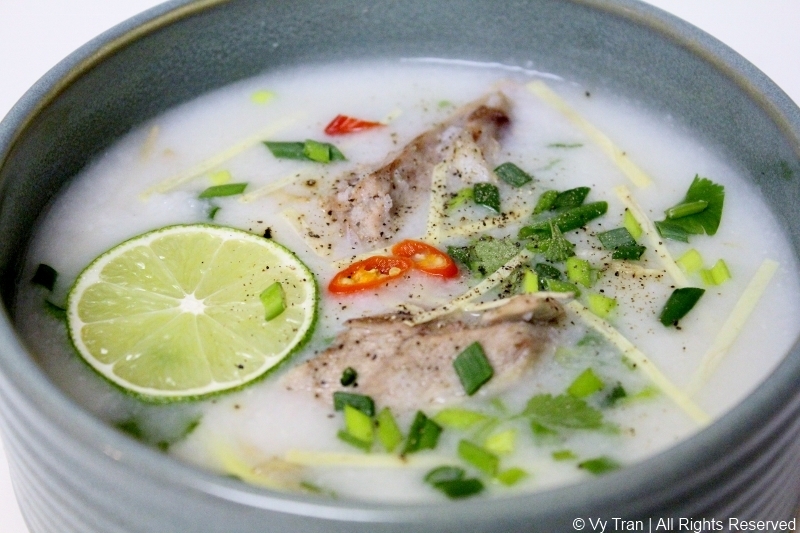 Fish sauce is an essential staple of Vietnamese cuisine. This flavorful dipping sauce is eaten with countless dishes such as bi cuon (pork rolls), egg rolls, banh xeo (Vietnamese crepes), many noodle dishes and drizzled over fried fish. The chili and garlic add a huge kick to the sauce. Without nuoc mam cham, the flavors of many dishes would fall flat. 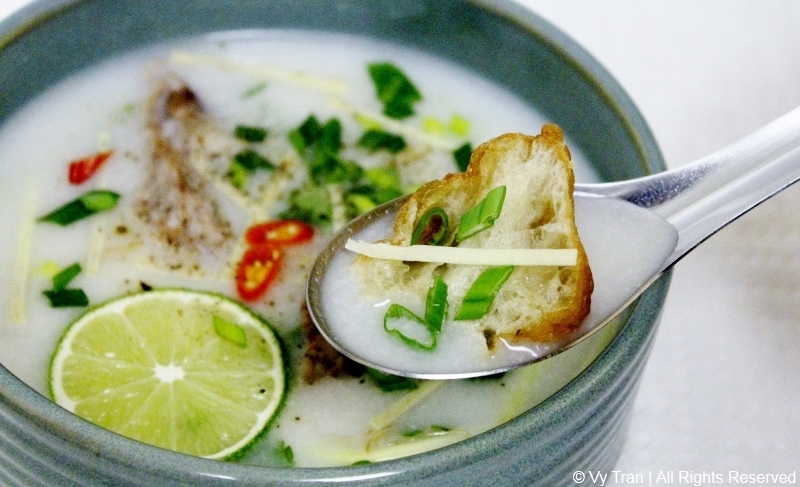 In a small bowl, whisk the water, sugar, and fish sauce. 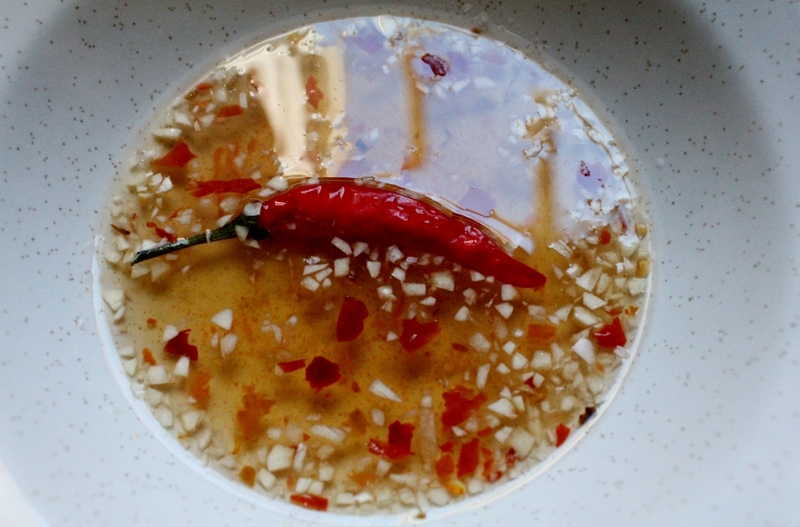 Add the garlic, chilies, and vinegar to the fish sauce and stir well. Store in a tightly sealed jar in the fridge up to two weeks.